Mimi works with a variety of Duke CE staff and external faculty to open the conversation about the design and delivery of custom educational experiences for new clients. She came to Duke with management and business development skills allied to deep commercial, international, non-profit, diplomatic and government experience. Prior to joining Duke CE, Mimi spent 3 years with Armstrong Associates, Ltd., a London based consultancy practice specializing in new business development and relationship management. Clients ranged from a mobile technology startup, to an international luxury travel business, through to a United Nations membership organization focused on sanitation and hygiene in the world’s poorest countries. Before joining Armstrong Associates, Mimi spent 12 years in Chicago and in Washington, DC as the Vice President of Global Operations of the world’s largest property association (National Association of Realtors — 1.2 million members) where she was the creator and driving force behind the development and execution of the NAR’s global mission and strategy. During her tenure she also helped create, fund and serve as the founding CEO of the International Consortium of Real Estate Associations (ICREA), a business, technical and professional standards body for the global real estate industry. She also served as chief architect for international membership and professional development programmes of NAR and oversaw global strategic planning, legislative and research oversight and public affairs outreach. Prior to NAR, Mimi worked with the US Agency for International Development in Washington, D.C. where she developed shelter and urban development training strategies for implementation worldwide and coordinated USAID’s learning and development activities with other bi-and multilateral donors, academic institutions and non-government organisations. Mimi has a degree in political science from Brandeis University and a Masters in International Economics and International Relations from the Johns Hopkins School of International Studies (SAIS). 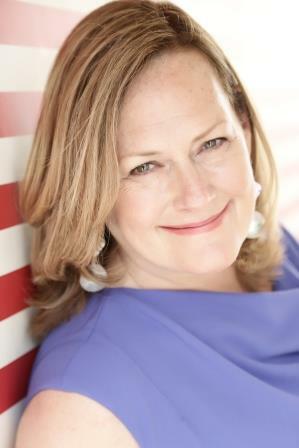 She has served on the Boards of the International Real Property Foundation, the International Housing Coalition, the International Consortium of Real Estate Associations and Porchlight Musical Theatre Company. She speaks proficient Italian, coversational French and has a working knowledge of Spanish and German. Interests include sports (tennis, skiing, hiking), the arts, multi-cultural cooking, entertainment and bridge.